We recently had a quick chat with Stephanie Blackmun – our cheery Sales and Customer Service Supervisor. Steph loves her job and has worked with Newmarket Holidays for around five years, during which time she’s been lucky to experience several Newmarket tours – from India and Canada to Lapland and Andre Rieu. We wanted to know a little more about Steph’s day-to-day life in the office and find out what she enjoys doing on her holidays. Hi Steph, what’s your position at Newmarket Holidays and how long have you worked here? My position is Sales and Customer Service Supervisor and I’ve been with the company around five years. What do you enjoy most about working for Newmarket? I love the fact that every day is different… a different customer, holiday and experience. Every person you speak to will offer you their feedback and tips on the destinations they have visited so I pick up so many new snippets of information about our tours. Likewise, it’s great to share my experiences to help our customers to make the most out of their holiday. What’s the best place you’ve ever visited and why? Oooh this is a tough one… anyone who knows me knows how much I love travelling and I rarely go back to the same place twice. However, I have to say that India has my heart at the moment. There is so much to do and see; great weather, friendly people, beautiful food, lots of culture and you get so much for your money. 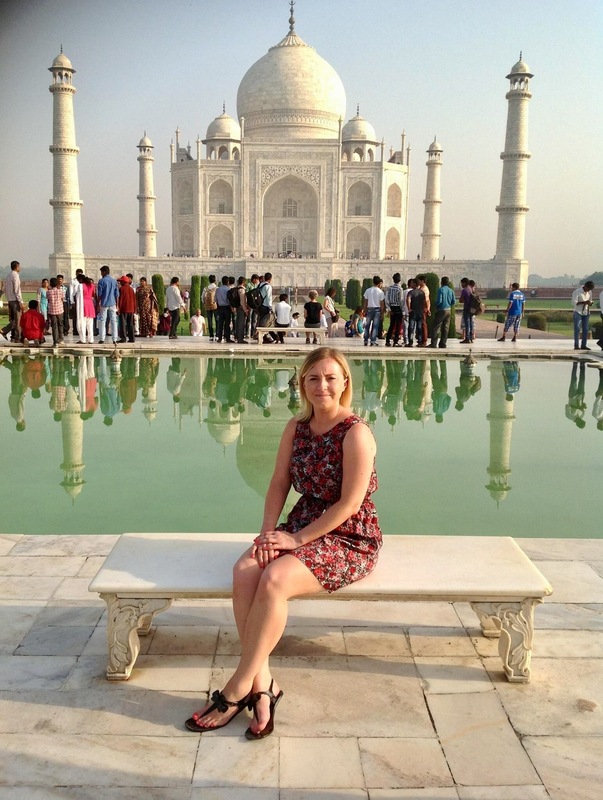 The first time I went to India was on our India, Tigers & The Taj Mahal tour which is a great introduction to the country and I highly recommend it. The Taj Mahal was a sight I will never forget and definitely one to tick off the bucket list. I recently came back from Sri Lanka and fell in love all over again; it’s such a diverse place to visit. There was so much natural beauty, as well as gorgeous beaches and interesting temples. Plus I saw turtles and actually came up close to a leopard in Yala National Park! What’s your favourite thing to do on holiday? Definitely sightseeing. Don’t get me wrong I love to sit back, relax and sunbathe but you can’t beat exploring a new place or country. You’ve been on quite a few Newmarket tours. Which ones are now on your bucket list? As well as the tours above I have been to see the Blackpool Illuminations by coach, taken in Amsterdam and the Bulbfields on our lovely MS Olympia and I have seen many of the London theatre shows. I would absolutely love to do our tour to South Africa, or even Thailand, Cambodia and Vietnam as these parts of the world I am yet to explore. My hero would have to be my grandfather who is no longer with us but from a very young age encouraged us to try new things and experience new cultures. We visited Portugal for our annual family holiday and my grandfather encouraged further travels. He thought I should experience the world and spread my wings whilst I could. What three things would you take on a desert island? I would take a good book as I love reading and could then use it to light a fire. Also I’d take a mirror to use as a rescue signal and lots of water. Very practical! And if you could only eat one meal for the rest of your life, what would it be? Ooh again a tricky one as I love my food! I would have to say my all time favourite would be seafood – especially mussels. I have raised around £10k for various charities over the years. Also, something that most people don’t know is I am teaching myself to knit. If anyone has any tips or easy patterns please get in touch! Thanks Steph – it was lovely to chat! If you’d like to speak to Stephanie about any of the Newmarket tours she’s completed then please email social@newmarketholidays.co.uk and we can arrange for her to give you a call.